Bellavistamare Beach Resort is one of the resorts that is perfectly established on the great Santiago Bay public beach. 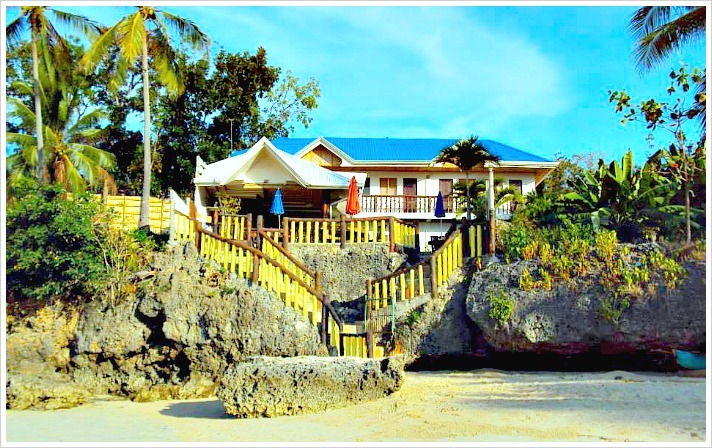 It is situated right at the white beach of Santiago Bay, Camotes Islands. The new manager just recently renovated this facility. It is now a foreign-owned resort. Bellavistamare Beach offers affordable and simple but comfy rooms, all of them with windows facing towards the beautiful bay of Santiago. Surely, its simple amenities are enough to make you feel homey and serene. It has a tropical style restaurant surrounded with a well-designed garden. This restaurant serves breakfast, coffee and drinks, and others available upon request. 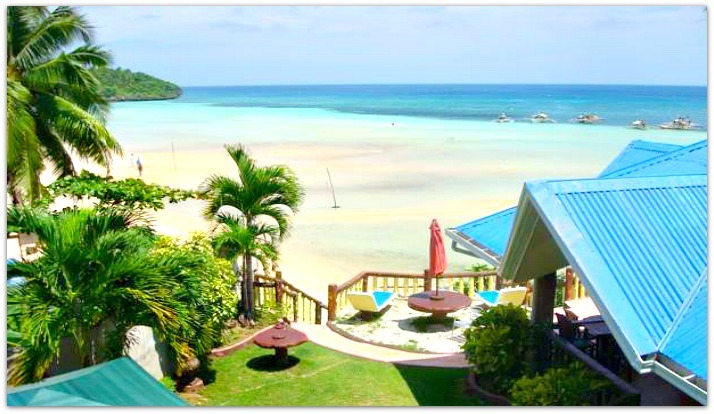 One of the attractions or assets of this area is the scenic & breathless view of Santiago Bay. Added to that beauty is that you can reach the beach right at your doorstep. Although the size of this resort's building is small, it offers three types of rooms for your comfortable stay. So, this matrimonial room has (is)… good for two people, has double size bed, private bathroom and dresser. The maximum of extra occupant is limited to one only. It is great for 6 visitors, has 2 double size beds, 2 private bathrooms, 2 dressers, and can accommodate a maximum of 2 more extra occupants. The difference of this one with the one already mentioned is that this is non-air-conditioned room. It is naturally conditioned by the breeze from the sea. Surely, if you were a serious nature lover and an environmentalist you would prefer to avail this room with your only loved one. Now, if anyone is interested to spend time at Santiago Bay to swim and relax, you may want to stay at this facility. If you are really interested to know more about this resort, please make use of the address and contact details below. 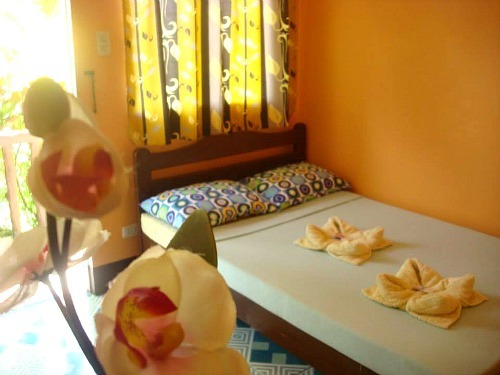 It is not difficult to find Bellavistmare since it is located just right beside another popular beach resort called Santiago Bay Garden Resort. If you need a guide to get there, you may use this link Getting to Camotes Islands, which provides you transportation guides and schedules. If you are coming from another island or from abroad and thinks need more guides, you can use this link: Getting to Cebu. The link provides international flights and shipping companies that frequents or do business in Cebu. Great resort on the island are also available depending of you preferences. Below, you can see more possible places or resorts where you can spend your precious vacation. Have a wonderful time then in this part of the island. Enjoy the beach and the bay… take more photos, too!